Lobster Maine-ia arrives at Barbrix on Saturday, June 12. Lobster and summer may go claw-in-non-existent-hand for many seafooders, but we'd bet that most people think of the lobster roll when they think of June food. Maybe even of the lobster roll done with lobster salad, vs. hot butter. But of course, June is different in Los Angeles; we're not yet in the throes of bikini weather like the rest of the nation. 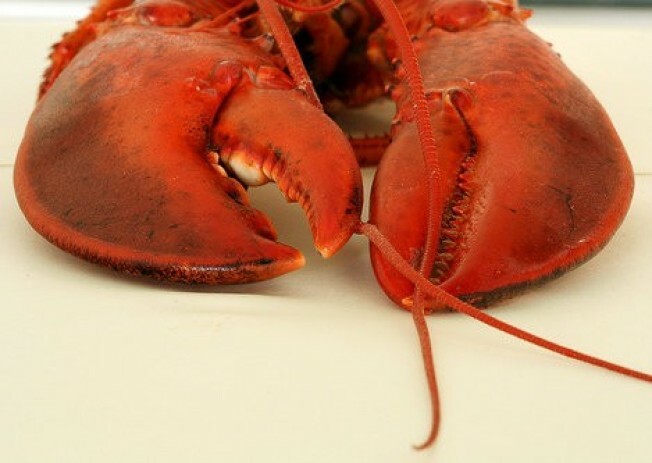 Which makes a creamy, spoon-warming lobster bisque the more suitable lobster-based cuisine for us. Barbrix in Silver Lake is going the bisque route with a full-on "Lobster Maine-ia" cooking class. They say they've got a few spots left for the Saturday, June 12 to-do, which will also cover other lobster-y dishes (one involving the elegant chanterelle) and oh yes, oh yes oh yes, blueberry pudding cake. That sounds like summer to us. Even June-Gloom-y summer. Class is 10 a.m. to 1 p.m. and costs $90.